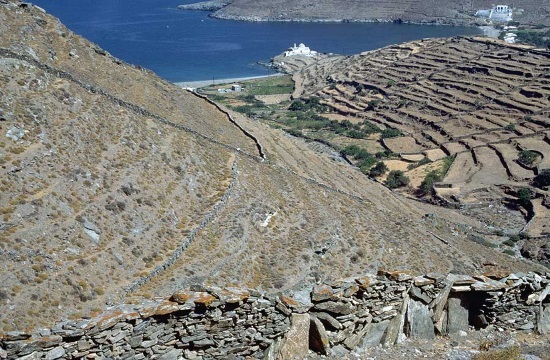 Impressive finds were unearthed from the excavations at the "Vryokastro" site in Kythnos, where the ancient city of the homonym island of the Cyclades was inhabited since the 10th century B.C. 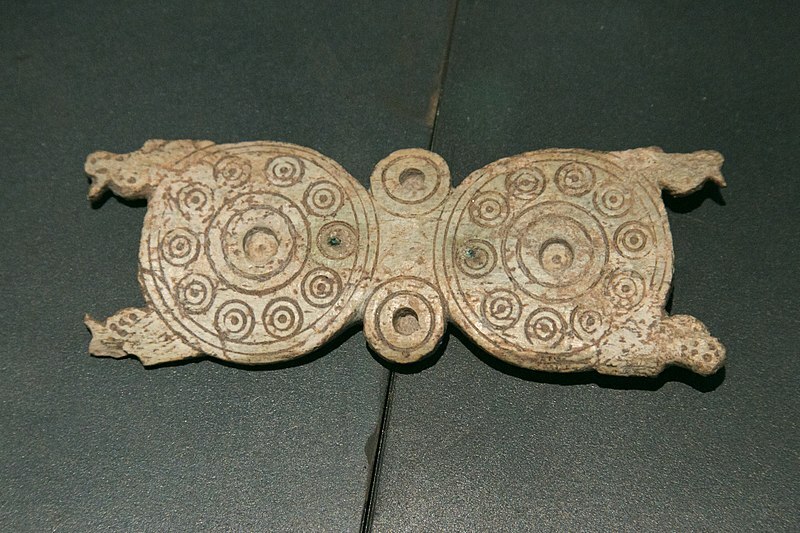 up to the 6th-7th century A.D. The discoveries in the two buildings surveyed in recent years in the area - a beautiful location on a hill overlooking the Aegean - lead the excavators to the strong hypothesis that there were two sanctuaries of Asclepius and Aphrodite, possibly coalescing: Clay figurines of women's and children's figures and many marble sections, such as girls 'heads, boys' boots, bearded heads Asklepios, an inscribed 2nd century BC. A.D. with the tribute of a woman to the god of healing, a beautiful statuette of half-naked Aphrodite and a Hellenistic inscriptionary column dedicated to "Aphrodite Syria" ([Afroditi] Syri [a] i), are some of the findings. Combined with architectural remains, they reinforce the abovementioned conclusion. "It seems to be an area of several cults, as an inscription of" Samothrace Gods "was found before, and there is a epigraphical reference to Ammon Zeus. 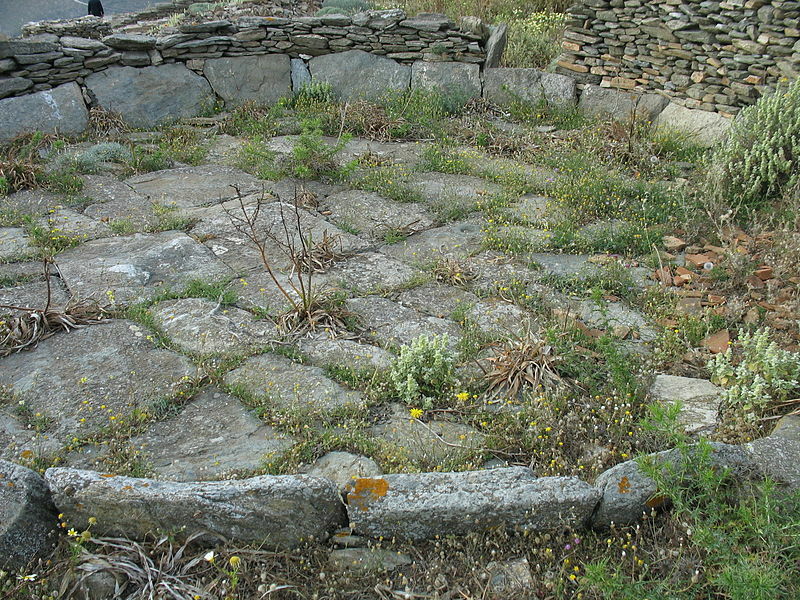 But more important is the worship of Asklepios and Aphrodite, "says Alexandros Mazarakis Ainian, a professor of Classical Archeology at the Department of History, Archeology and Social Anthropology of the University of Thessaly, under the direction of which the excavations are conducted in the area of the two ancient buildings, referred to as Building 1 and Building 2. "At the moment, it is not very easy to say which divinity relates to what building, but can be assured for many different reasons that Building 1 is connected with Asclepius: A marble beaded head of Asclepius was found in the building, adjacent to a reservoir and water always played an important role in the worship of Asklepios. Also, votive offerings were thrown into the tank, perhaps when it ran out of water during Late Antiquity, such as the Calisto tribute. Finally, there is a room that could be for decoration or for dinners, however it is a ritual room with pebbled flooring and a place for a daybed. All this allows us to link this building to Asclepius, but it may not have been limited to its worship, " Ainian told the ANA. And what do we know about the dating and the duration of use of the two buildings being excavated? "The dating of Building 1 has not been clarified with absolute certainty, because the ceramics found in the substrates and the fillings of the foundations must be studied more carefully. However, we can date it back to classical times, with a use that continued to the Roman times, until the 2nd century A.D. for sure. Yet, in the foundations, we found pottery belonging to the 8th century BC, as well as archaic, which means that it was a place of worship since the geometric years. This is very important because it shows us that since that century the holy places of the city had been delineated, and the town begun to be organized in zones" he pointed out. Building 2 was constructed in Hellenistic times, but its use remains to be ascertained. "This building had no retained floor at all, so we have no findings from the use phase. Therefore, we can not easily talk about its function. We also do not have a clear picture of how it was it constructed from an architectural point of view. It is certain, however, that it had four square rooms, which opened into an oblong corridor, so they could also be connected with the Asklepieion. For example they could have been enkoimesis, incubation, sleeping quarters in the sanctuary," Ainian added. 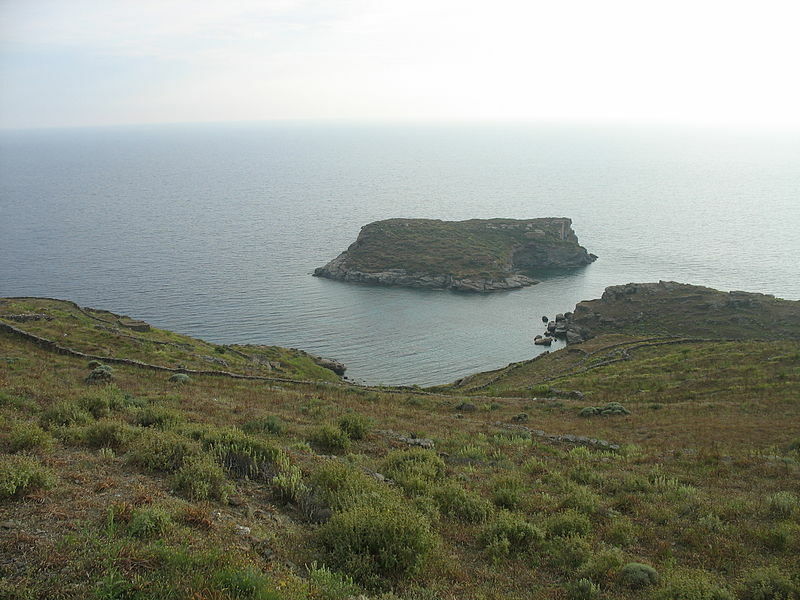 The two buildings are located in Ano Poli, on a partially artificial plate, at a height of about 120 m from the surface of the sea, which was created in Hellenistic times. "It is a monument of the Upper City for its sanctuaries, among which there were free spaces. One of them may have functioned as a market in the Hellenistic era, while a later-class-Hellenistic building has been found lower on the slope, which was identified possibly as the Prytaneion of the city, "explains Ainian, who, with his group, made an exciting discovery in 2002, on the same plateau, a little further north of the Asklipieio and Aphrodisio. They found the twin temple of Apollo and Artemis with an impassable sanctuary full of valuable tributes, including 100 gold and 150 silver jewels." "It was perhaps the greatest concentration of gold and silver ever discoverd in an Aegean sanctuary," he told ANA, adding that the findings, along with the rest of the discoveries from the temple's sanctuary, will form the backbone of the new archaeological museum in Chora Kythnos. It will be a Museum of Jewelery, a NSRF funded project that is already in its second year of construction and is implemented by the Cyclades Ephorate of Antiquities. Ainian also notes that even though the area of the ancient city was about 280 acres, the excavations have been limited to a small expropriated area in Upper City. 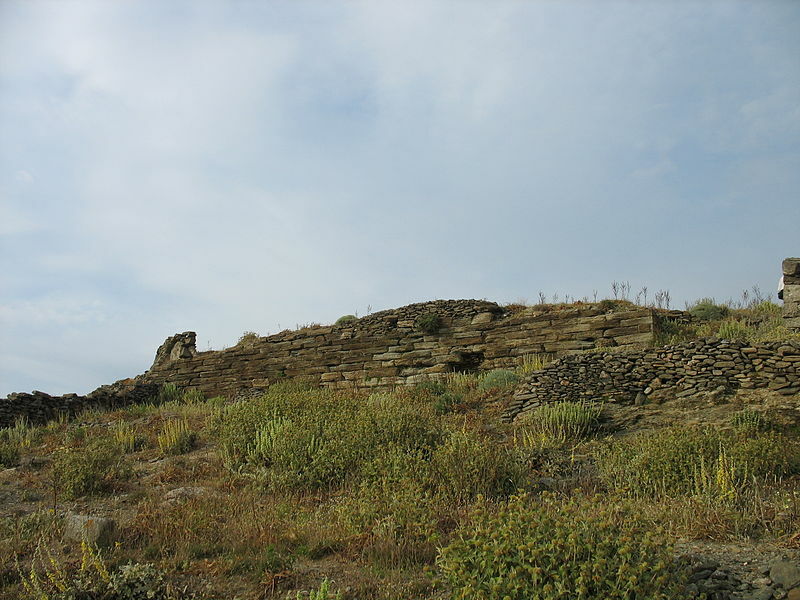 "The two monuments, visible and preserved at a height of 3 m, can be connected to the expropriated zone in which the well preserved temple of Apollo and Artemis lies and thus form a beautiful archaeological site. At the same time, there are immersed antiquities in the harbor, which were investigated with the collaboration of the Ephorate of Underwater Antiquities between 2005 and 2011, which could also become aν ancient archaeological park open to visitors. 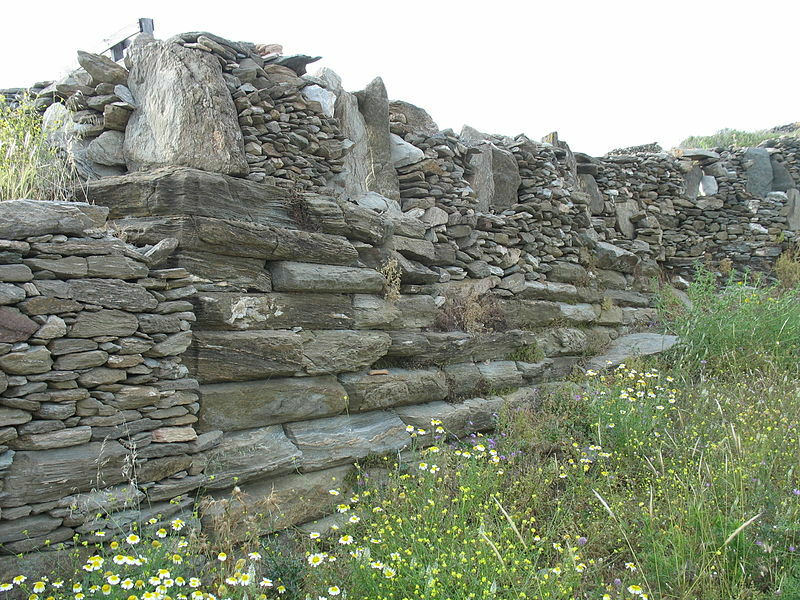 All this could combine to lead to the creation of an interesting archaeological site, with informative signs, which is even more imperative today, as the museum is being created in Chora with findings mainly from this area, (the ancient city of Vryokastro) and tourists should be able to see both with a visit." And the next investigations? "The next summer we will finish the research in the tank, and in the next three years, 2018-2020, we will move to the small island below the port, Vryokastraki. This island was connected to the coast in the Classical period, as the sea level has since risen by about 2.5-3 m, so it was a closed port. This rocky island is of great interest because it seems that the first inhabitants had settled here and we hope to find the earliest indications of habitation of the ancient city. It also appears that the city gradually collapsed in the Late Roman era, just before it was abandoned. We have, in a sense, the two extremes, the birth of the city on one hand and its decline and abandonment on the other. So we are preparing for this triennial survey, " Ainian concluded. 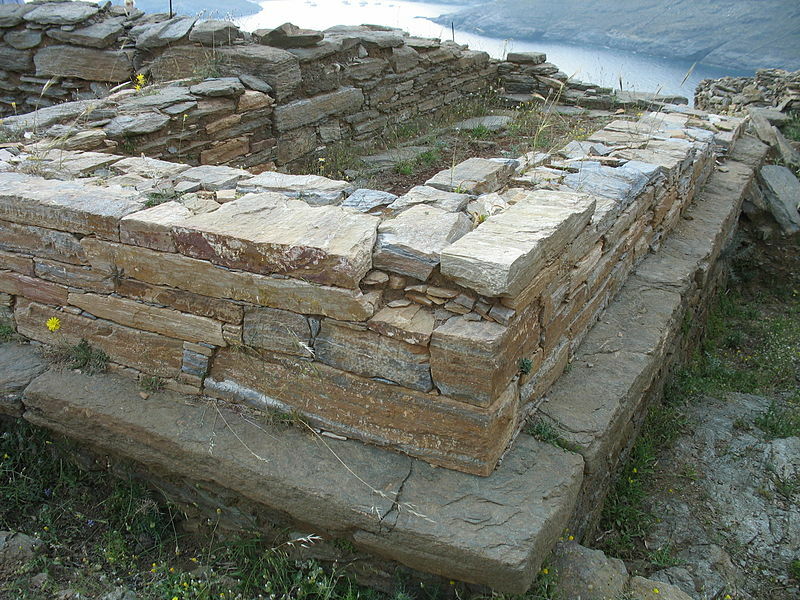 The excavation on the Greek island of Kythnos is carried out by the Department of Archeology of the University of Thessaly, with the collaboration of the Ephorate of Antiquities of the Cyclades. Apart from the above, the surveys are supported financially by the Aegean and Island Policy, the South Aegean Region, the Municipality of Kythnos and, in particular, a private sponsor, Athanasios Martinos.